Tesla Motors is opening pre-orders for the Tesla Model 3 earlier than previously announced, with hundreds if not thousands lining up at Tesla showrooms around the world. Ellon Musk will be officially releasing the Model 3 tonight. Live from Hawthorne California. Plan to be impressed as Tesla will surpass expectations. Go online to start your pre-order of the Tesla Model 3. Tesla Model 3 Event Live Streaming Link. Tune in tonight at 8:30PM PT / 11:30PM ET for our coverage from the unveiling — hopefully followed by a drive. You’ll also be able to watch the event on Tesla’s website. Served with two Sauces, Beans or Rice. The San Diego-based company says customers with the recalled tuna should throw the cans away. There are a total of 31,579 cases that are included in the recall, which were produced in February 2016 and distributed nationally. Tesla is ramping up to show the world what a mid-range EV looks like. To be priced at $35,000 and the announcement coming March 31, 2016 live from Tesla Design Studio headquarters in Hawthorne, CA. The Tesla Model 3 event is rumored to include a working Model 3, which will crush naysayers that the Model 3 is vaporware. Mr. Musk and his team at Tesla have done an admirable job at dispelling many who say the EV movement is just a fad. The Model 3 will be similar to the Audi A4, 20% smaller than a Model S.
What can we expect to see at this event? Current Tesla owners will have a chance to attend via a lottery to be held on March 16, 2016. Boulder, CO (March 15, 2016) – The 36th annual Natural Products Expo West & Engredea, the world’s largest natural, organic and healthy products event, experienced another record-setting year with 6.9 percent growth, playing host to more than 77,000 attendees. The event brought together an inspired community of industry members and more than 3,000 exhibiting companies, including more than 600 first-time exhibitors. The show, held March 9-13 at the Anaheim Convention Center, is produced by the recently re-branded New Hope Network. For the second year in a row, New Hope Network expanded the event’s exhibit space to encompass the entire Anaheim Convention Center campus. In addition to traditional exhibit halls, new exhibitors showcased hot products at the Hilton Hotel Anaheim. Natural Products Expo West is the preeminent show for spotting trends in the food and CPG industry. The content and research team at New Hope Network tracked the following macro forces and consumer trends this year: Ancient Wisdom, Transcendent Transparency, Snackification, Feed Me!, The Rehabilitation of Science and The Value(s) Shopper. For examples of related trends and exciting new products that support each trend visit the online gallery at newhope.com. The NEXT Forecast 2016 projects strong growth for the natural products industry. U.S. consumer sales of natural, organic and healthy products are forecasted to expand 64 percent from $153B in 2013 to $252B by 2019, including growth of 9 percent per year driven in part by new and emerging brands. 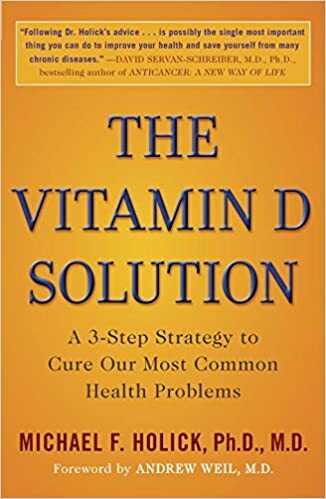 The education program offered a full docket of topics as well as keynote presentations from Sam Kass, former White House Personal Chef; Erik Weihenmayer, author, adventurer and activist; and Marth Rogers, acclaimed author and business strategist. The official Natural Products Expo West “Best of West: Press Award” went to Suja Organic Crushed Raspberry Probiotic Water. Runners-up include Vega Sport Performance Protein Chocolate and Justin’s Maple Almond Butter with Pretzels Pack. The winner of the NEXT Accelerator Natural Products Business School Pitch Slam was Veggie Fries. Next up for Natural Products Expo is the east coast event at the Baltimore Convention Center, September 21-24 in Baltimore, MD. Natural Products Expo West 2017 is scheduled to take place March 8-12 at the Anaheim Convention Center. Follow @NatProdExpo and #ExpoWest on Twitter and Instagram for ongoing conversations. To see show highlights watch the Natural Products Expo West 2016 “Find Your Spark” video. This is a video message to Donald J Trump. “In the House – In a Heartbeat” is an instrumental track by John Murphy. #OPCruz Hackers Anonymous will release within 24 hours info about LIAR TED CRUZ prostitution scandal. Hackers Anonymous will release within 24 hours info about LIAR TED CRUZ prostitution scandal. Groundbreaking is expected in 2017, and the school will welcome its first class of students in the fall of 2019. The property, located at 94 S. Los Robles Ave., currently houses an unoccupied building, which will be torn down and replaced with a larger building, Kaiser spokesman Marc Brown said. A Kaiser office building and the Kaiser Permanente Department of Research and Evaluation are also on the same lot and will remain there, he said. Scheduled to open in 2019, the school will take a nontraditional approach to medical education, Kaiser officials said. Kaiser Chairman and CEO Bernard Tyson. The School of Medicine campus will be located adjacent to the Kaiser Permanente Department of Research & Evaluation. Kaiser which recently said it plans to acquire the Group Health Cooperative system in Seattle, with 590,000 enrollees, currently has 10.2 million enrollees, roughly three quarters of them in California. Pasadena Police Department will step up Bike & Pedestrian Safety Enforcement Operations on Friday, March 11, 2016, from 6:00 A.M. to 2:00 P.M., with focused enforcement on collision causing factors involving motorists, pedestrians and bicyclists. Bicycle and pedestrian fatalities are rising in California as more people use these non-motorized means of transportation. Locally, Pasadena Police Department has investigated 539 fatal and injury collisions involving pedestrians and bicyclists during the past three (3) years. In 2012, California witnessed 612 pedestrian and 124 bicyclists killed that year while nationally 4,743 pedestrians and 726 bicyclists were killed. Free rides will begin at 12 noon and will last until midnight on Saturday, March 5. Free rides were originally offered only until 4 p.m. Saturday. Metro extended free ride hours to enable even more people to travel freely to and from opening day events. Free rides will only be available on the Gold Line between East Los Angeles and Azusa. All other Metro Rail and Bus services will require regular fares. Riders should be aware that Metro is still operating shuttle bus services between Pico/Aliso and Union Station due to construction work for the Regional Connector rail project in Downtown L.A. The Los Angeles County Metropolitan Transportation Authority (Metro) will provide free rides on the entire Metro Gold Line on Saturday, March 5 as Metro celebrates the official opening of L.A. County’s newest rail line in the San Gabriel Valley. Several community events are now planned on the 11.5-mile extension to welcome brand new communities to the service. Duarte/City of Hope Station, 1777 E. Duarte Road, Duarte, CA 91010. Opening ceremony starts at 10 a.m. Station Party: 12 noon to 4 p.m.
Arcadia Station, 201 N. First Avenue, Arcadia, CA 91006. Station Party: 11 a.m. to 4 p.m.
Monrovia Station, 1651 S. Primrose Avenue, Monrovia, CA 91016. Station Party: 11 a.m. to 4 p.m.
Azusa Downtown Station, 780 N. Alameda Avenue, Azusa, CA 91702. Station Party: 11 a.m. to 4 p.m.
Irwindale Station, 16017 Avenida Padilla, Irwindale, CA 91702. Station Party: 11 a.m. to 4 p.m.
As a friend of the Rose Bowl we would like to offer you the opportunity to take part in an exclusive VIP pre-sale offer for OUE Skypsace at the top of the US Bank Tower. Please click below to be the first to purchase your tickets or find out more information. Transform your view from California’s tallest open-air observation deck. OUE Skyspace LA is poised to be the premiere destination for panoramic, 360-degree views of Los Angeles. The official Twitter account of Skyspace LA. In 2016 the new #SkyspaceLA will be California’s tallest open-air observation deck bringing 360-degree views to LA. Two outdoor observation decks 1,000 feet above Los Angeles. Experience a thrill attraction like never before. Glide down the 40ft glass Skyslide suspended 1,000 ft above Los Angeles and land on our outdoor observation deck. All tickets and Skyslide passes are timed and available in 30-minute intervals. The all-new OUE Skyspace LA will be California’s tallest open-air observation deck and the premiere destination for panoramic, 360-degree views of Los Angeles. From close to 1,000 feet above the city in the iconic U.S. Bank Tower, OUE Skyspace LA will honor the culture, community and people that make Los Angeles unlike any city in the world. Politics are more social than ever. From political memes and ads on Facebook to new apps that pair users with candidates and issues. From the local to the national level candidates are taking note, pouring money and resources into staying socially relevant. Yet fewer young people are choosing to vote. While young voters helped drive Barack Obama’s presidential election in 2008, those enthusiastic millennials are now older and steadily declining in numbers at the polls. A recent Harvard study found that less than half of the 18- to 29-year-olds surveyed said they were following the 2016 campaign. And in 2014, just 8 percent of eligible 18- to 24-year-olds cast ballots in California’s general election. Do millennials not care about the election process? Or is it something else? Research shows that millennials evaluate political candidates differently than earlier generations. Facebook, Snapchat, and Instagram are all platforms that millennials and younger generations grew up with and use to stay informed, share and organize around issues and interests. There’s no question that technology and social media are important tools for candidates if they want to reach younger audiences. What’s the best way to get more young people civically engaged? What innovations are out there right now to help bring young people in? Is our current voting process outdated? How would you hack the vote? We’ll explore these questions and more with KPCC’s Senior Politics Reporter Mary Plummer and her guests over pizza at startup hub Cross Campus in Pasadena. Be here for this discussion and meet some of the creators behind this new technology. A new eatery in the South Lake Business District of Pasadena is in the permitting process. The Arbour eating establishment is currently seeking a conditional use permit #6384, the hearing was held on Wednesday February 16, 2016 at 6pm. City of Pasadena staff recommended that the CUP be approved in the staff report. There are other similar establishment in the area, that there shouldn’t be an issue. The size of the space is 5,290 square foot with a 350 square foot bar. David Weissglass is the applicant represnting Art Rodriguez & Associates. The Arbour would join recent additions of Paul Martin’s and Del Frisco, among the already existing establishments. This neighborhood welcomes the additional dining options. The applicant is located in Pasadena and is an alcohol licensing & zoning consultants. 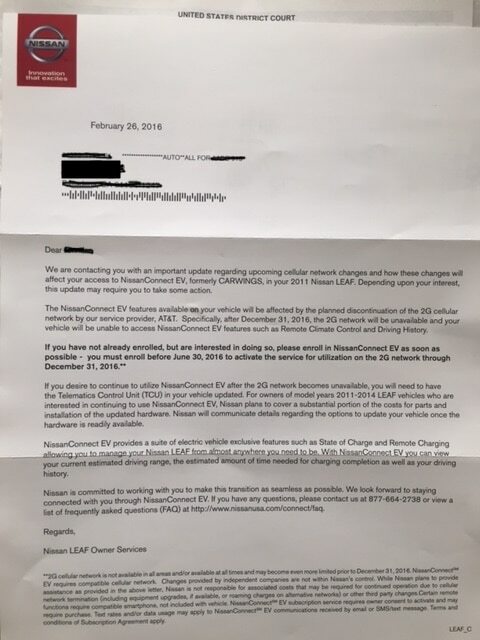 As if things for Nissan LEAF could not get worse, Nissan is now sending out letters that NissanConnect EV is being discontinued due to the 2G network from AT&T being discontinued at the end of 2016. If you own a LEAF this is surely a blow, why did Nissan not prepare for this sooner? This is yet another sign along with slagging sales of the Nissan LEAF that Nissan is not as committed to the EV as Nissan executives may want prospective buyers to think. Having just had our Nissan LEAF batteries replaced due to the battery capacity issue, was a smooth process once the capacity dropped to the “required” 8 bars. Nissan only offers a warranty on the replacement battery which is inappropriate for a key component which was replaced due to defective engineering issue. Basically the warranty from Nissan is only the remainder of your original battery warranty or 12,000 miles/1 year which ever is greater, so basically the new batteries has a 1 year warranty. Seems inadequate for a critical component which is supposed to last 5 years or 60k miles and was just replaced. One more reason not to buy another Nissan product. I imagine other companies offer a new warranty on a “new” battery for an EV. With the recent hack exploit of the Nissan Connect, yet another recent trouble for Nissan. This is the letter we received from Nissan regarding the discontinuation of the NissanConnect EV. This is the website Nissan has setup to answer questions. One interesting note is that Nissan will require a TCU- Telematics Control Unit in order to connect to NissanConnectEV after 2016. Nissan plans to cover a “substantial: portion of the costs for parts and installation of the updated hardware. Apparently the TCU will operate on the 3G network which may face a similar fate in a few years as 4G LTE and 5G are the new technologies. April 2 from 8:00 a.m. – 1:30 p.m. The 2016 Conference on Healthy Aging is presented by the Pasadena Senior Center. This annual event delivers a treasure trove of practical information and resources that will help you plan ahead and get the most out of life. The morning begins with our keynote speaker, Fritz Coleman, and is followed by two informational break out sessions. The times are detailed below. The workshop schedule below details specific speakers and the topics they have already committed to present that day. The morning includes a light snack and delicious box lunch for all participants. Registration will be open February 1, 2016. At that time you can register by phone at (877) 236-9459 or online using the Register Online button above. Session 1: 10:00 a.m. – 11:00 a.m. Session 2: 11:15 a.m. – 12:15 p.m.